Blanchard made his first successful balloon flight on March 2, 1784, just four months after the world’s first balloon flight. He was part of a wave of balloon pilots that triggered “balloonomania” among the public. During this period, people became enamored with balloons, decorating their goods with them and wearing clothing au ballon– puffy sleeves, rounded skirts, and some articles that pictured balloons. Some even wore their hair à la Blanchard. 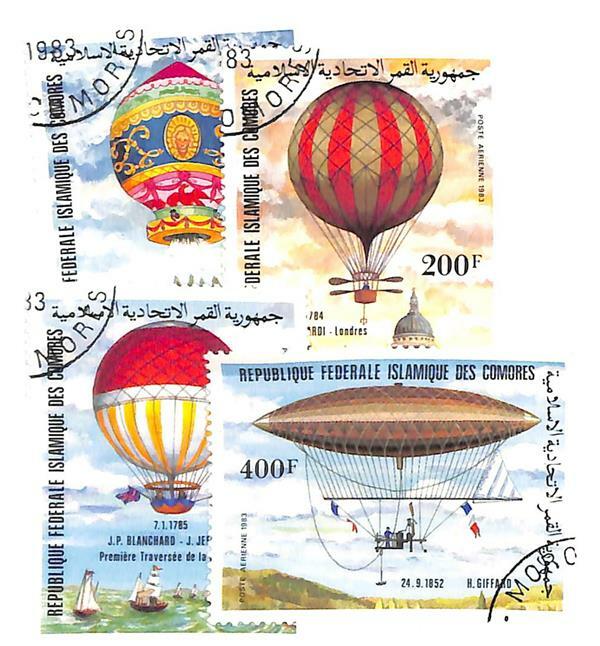 Comoro Islands #C122-25 includes a stamp honoring this milestone. Click the image to buy. In August 1784, Blanchard moved to England to find wealthy fans to help finance his ballooning. There he met John Jeffries, a wealthy doctor from Boston who had come to England during the Revolutionary War. Ballooning fascinated Jeffries and he and Blanchard quickly became partners, staging a flight demonstration for the Prince of Wales that garnered them significant attention. 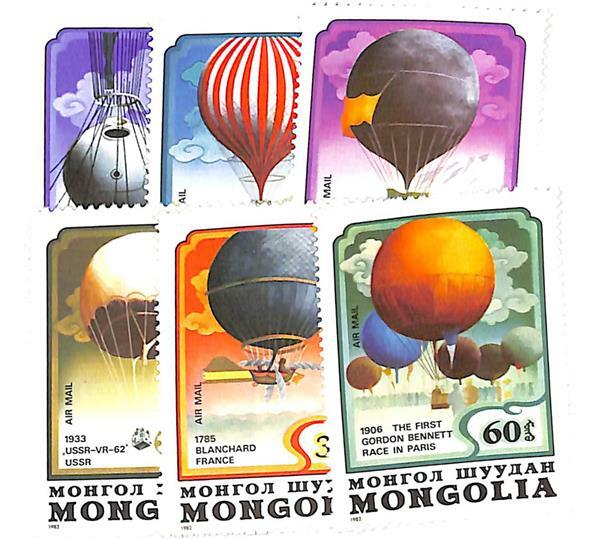 Mongolia #C165-70 also has a stamp honoring this journey. Click the image to buy. Next Blanchard wanted to become the first person to fly across the British Channel. Jeffries covered the expenses but also wanted to take part in the flight. Though Blanchard didn’t want to share the honor, they eventually decided to fly together. On January 7, 1785, they piloted the balloon up over Dover, England to cross the channel. Blanchard had printed pamphlets about himself beforehand and dropped them over the English countryside. 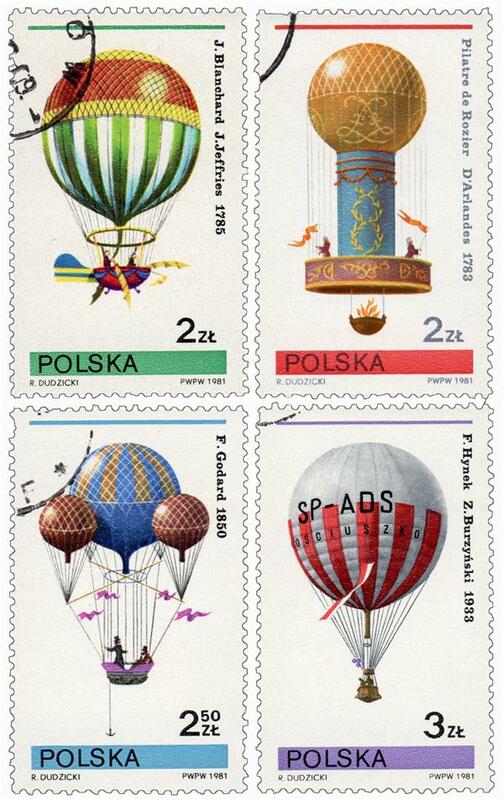 Poland #2433-36 includes a stamp picturing Blanchard and Jeffries and their balloon. Click the image to buy. The flight over land had been peaceful, but once they reached the sea, the balloon continuously dropped nearer and nearer to the water. Blanchard and Jeffries frantically threw whatever they could overboard, including the bag of mail they were supposed to deliver and most of their clothes. 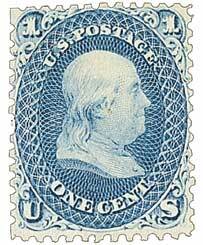 US #63 was issued for use during the Civil War. Click the image to buy. However, after about two and a half hours, they reached their destination, Calais, France, and landed safely. Though they had dumped most of the letters into the sea, they carried one all the way to France. It was a letter sent from American loyalist William Franklin to his son William Temple Franklin. The younger Franklin was serving as a diplomat in France with his grandfather, Benjamin Franklin. 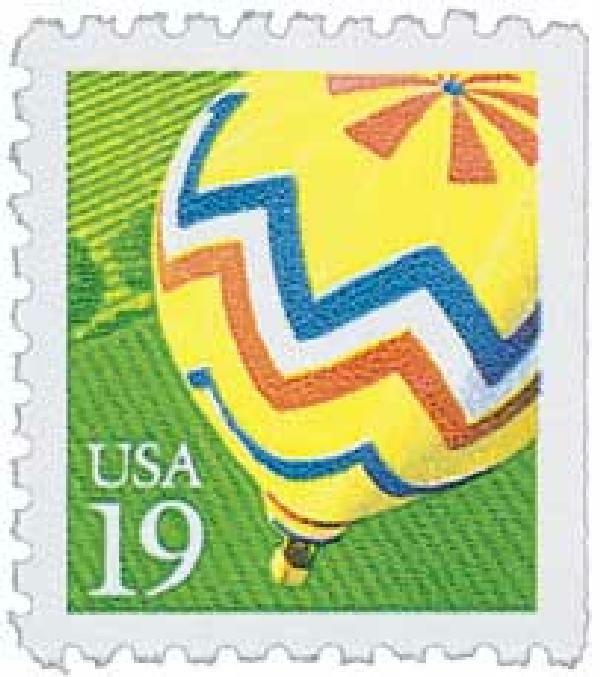 Item #M8415 – Get 100 balloon and Zeppelin stamps for under $16. Click the image to buy. For his accomplishment, Blanchard received a pension from King Louis XVI. He went on to make the first balloon flights in America, Belgium, Germany, the Netherlands, and Poland. 3 Responses to "This Day in History… January 7, 1785"
Eventually, I will create a digital Book to go along with my stamp collection. Thanks to the encouragement of my grandfather who experienced great losses in the Great Depression, I’ve been collecting artifacts for well over 75 years. 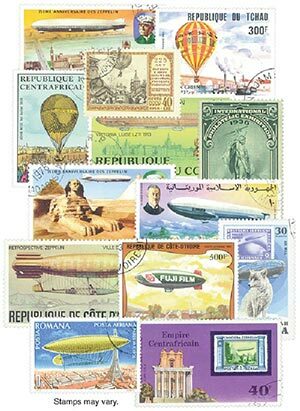 Stamps by far are the most enjoyable of my collections. I print out every “This Day in History” and add it to my stamp collection that my mom started. I love your articles. When I first saw today’s History, I thought those annoying “click the image to buy” notations w/every stamp were eliminated, especially with the stand-out blue ink. They really distract from the article and leave an “Its’s all about $$$ impression”. I would think just one mention of “click the image to buy” would suffice with each article.